It is made from silver metal material. Hinged for easy opening and closing with a front button clasp. 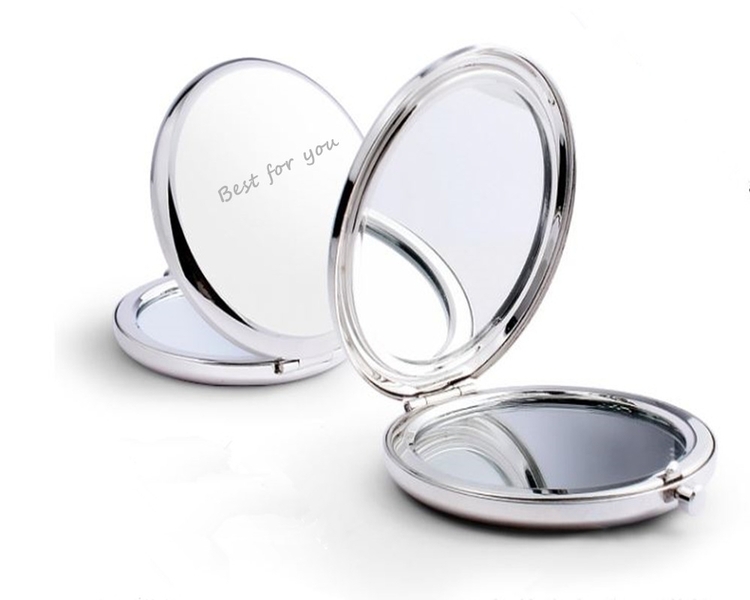 Dual-sided make-up mirror for ladies, one side is normal mirror while the other side magnified twice. Create your brand on the cover, absolutely nice giveaways for your events.